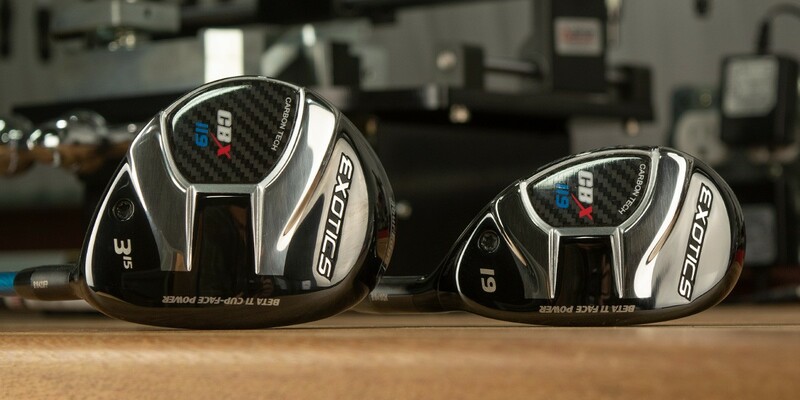 The @TourEdgeGolf Exotics 119 Fairways and Hybrids promise increased performance with a decreased price. What they wanted was less spin without compromising forgiveness (MOI). 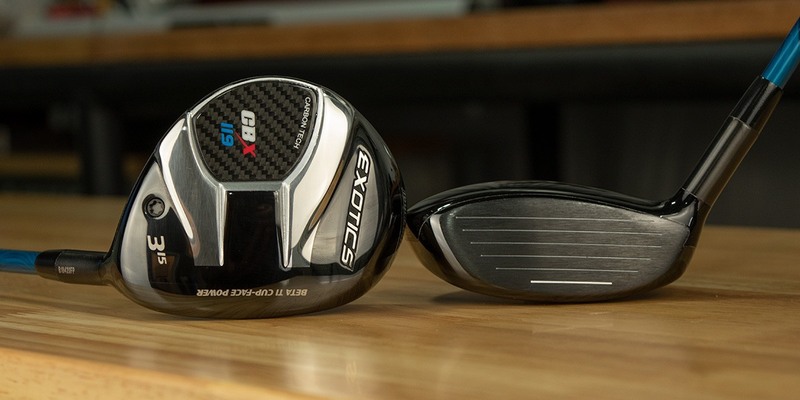 Sounds easy enough, but particularly with fairway woods and hybrids, engineers aren’t dealing with the same volume as drivers, which generally sit at or close to the USGA limit of 460 cubic centimeters. Also, reducing spin in combination with loft is like trying to walk the wrong way on an escalator. It’s possible but requires more resources as well as some creative thinking. Additionally, the smaller canvas leaves less physical space in which to manipulate CG (center of gravity) which is the primary driver of spin, launch, and MOI. To achieve this, Glod meshed the CBX and CBX T3 designs, increased the width and depth of the Speed Ramp Sole and enlarged the carbon-fiber soleplate. Along with the combo-brazed beta-titanium face, 50 grams of weight (roughly 25% of the total head weight) was freed up to shift the CG to an optimal location, which Tour Edge believes is beyond the capability of other OEMs. The net result is a club with a slightly deeper face and shorter heel-toe length, but the overall volume is unchanged. Weight is like disposable income. It introduces an element of choice for engineers, and in this case, the decision was to modify CG location rather than introduce any type of moveable weight technology or loft/lie adjustability. At this point, winning the distance battle is of primary importance for Glod and crew. The basic premise of the CBX platform is incomparable distance achieved through reduced spin and with the CBX 119, Tour Edge points to testing done by Golf Laboratories, Inc as evidence it produces unquestionably the longest fairway wood on the market. That said, the test pitted the Exotics CBX 119 against competitor models which are now a generation old. Fortunately, Tour Edge will once again be a participant in MyGolfSpy’s 2019 Most Wanted Testing – the industry’s most comprehensive, unbiased and 100% datacratic testing platform. Independent test was conducted by Golf Laboratories, Inc. August 23, 2018 with a robotic golf swing testing machine. The 15-degree 3 –woods were tested at a 110 MPH Swing Speed with a Titleist NXT Tour golf ball. If there was a criticism of the CBX, it was while the technology and performance were first-class, the asking price ($349) was a bit too much. Tour Edge agreed so as most others continue to increase prices (TaylorMade’s M5 fairway is set to retail at $400), Tour Edge is headed the other direction. 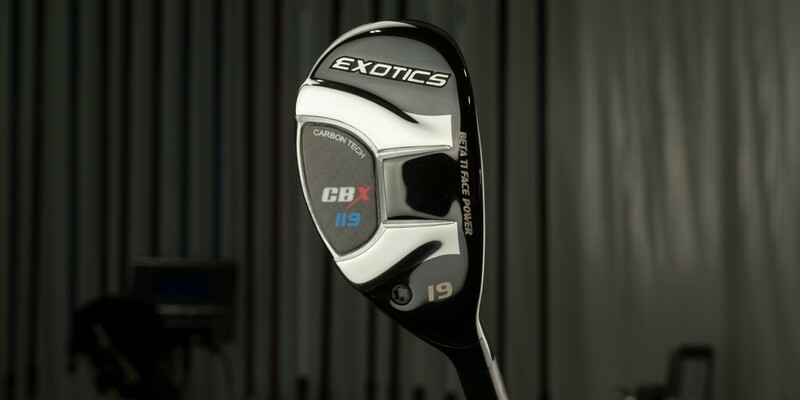 The CBX 119 fairway is set to retail at $299 and the hybrid at $249. The CBX 119 hybrid narrative mirrors that of the fairway, with two notable exceptions. First, to boost ball speed, the hybrid gets the same beta-titanium face as the fairway wood, and the shaping differences are more pronounced. Compared to the CBX, the 119 has a deeper face and a noticeably blunted toe area. The more compact footprint is, again, something requested by Tour Edge tour staff. Project X Even Flow Red, White, and Blue as well as the Project X HZDRUS Smoke constitute the stock shaft offering and alongside the red, white and blue “CBX 119” sole logo are there to remind consumers that Tour Edge takes great pride in assuring every club is 100% assembled in America. I will add this 13.5 3 wood to my bag as soon as it comes out. Great design specs and a good looking club. 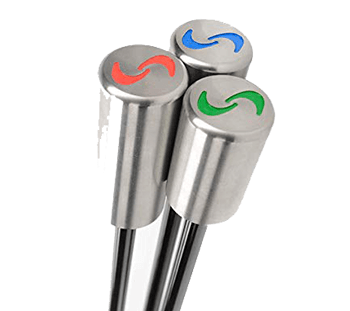 Although these clubs were design for the ‘tour’ guys I have a strong feeling that these clubs with the less spin, slightly deeper face, the distance and especially the pricing, are going to find there way into a lot of ‘standard’ golfers…….. me being one of them. I like the short and deeper face as it will give one a good feeling at address and therein lies half the battle. Good one Tour Edge, keep up the brilliant work. Great designs are not just from the big money guys. Been a fan of Tour edge before the MGS hype. I was at the PGA superstore and a guy asked me to hit it. I was trying Callaway and Taylormade 3 woods. More distance and accuracy was awesome on the exotics. Been in my bag ever since. I can’t imagine how much better this New 3 wood could be. I just bought an EX10 Beta 3 wood, custom fitted with HZRDUS Yellow 6.5 shaft. It’s a rocket ship for only being 15 deg. I was using a 712u in 2 iron Rather than a 3 wood. Now my Titleist 915 Driver is feeling threated . Tour Edge has been informed their clubs hit too far. Per the write-up by MGS the pricing is: The CBX 119 fairway is set to retail at $299 and the hybrid at $249. Are these clubs available in New Zealand? I have a $3,000 Exotics XJ1 3 wood which I love! Seriously, I spent almost $3,000 over a 5 year period trying to find this one which cost me $159 on sale. It’s a keeper. Clubs look nice, hit great from my time in the simulators with them. Only thing preventing me from trying some out is the lack of adjustability on most most of their non-driver clubs. I hear ya – but at the same time I think it’s important to consider the vast majority don’t change settings after being fit. As such, is the objection that you wouldn’t be able to change loft/lie and shot bias down the road or that in the present form it doesn’t allow for “on the fly” modifications – ? Chris, thanks for the article, however, was it a typo that the Hybrid is going to be priced at $249. If that’s not a typo, what will the Fairway be priced at? Thank you. Sorry for the omission. Pricing info has been updated. Fairway is $299 and hybrid is $249. Looks great. I recently was reading about the exs line and how it was going toe to toe with the top brands high end offering. How does this fit with all that? It almost seems like they’ve suddenly got two high end offerings aimed at better players. Only the top 3 brands do that and pay 💰 huge sums for players to play them etc. I hope tour edge isn’t spreading themselves too thin. Being a smaller company I think they should make at most two lines. 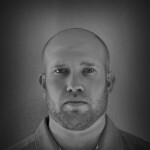 One geared towards the better players and one geared towards the average or game improvement category. Tour Edge is one of those companies I keep my eye on. I know I will be buying some of their clubs in the future…..just not sure when….but maybe I need to try a hybrid in place of my Ping 5w G400? Replacing my 5 wood with a 19 degree Tour Edge Exotics hybrid was one of the only equipment changes I’ve ever made that has actually made an obvious difference. 240 yards straight as an arrow more often than not and it doesn’t balloon like my 5 wood had a tendency to do. I found a mint CB Pro U hybrid with an x stiff Kuru Kage for 32 bucks. Best golf purchase since my very first titanium driver. Is it just me or do they show the hybrid price, but not the fairway price? If the fairway is 249 as well then I’ll for sure get one. So what lofts are available in left hand? Typically TE is among the worst for making left handed clubs so I’m going to guess that none of these will be available in left hand which would be a real shame. Congratulations to TE. 2019 should be a good year for the company as they find their way into more bags around the globe. Years of hard work and dedication from the folks in Ill. has positioned them to increase their share of the market against the Big Boys. Continued success. 110 mph? Really? This a great marketing story for Tour Edge. But doesn’t relate for most of us mere mortals. I like Tour Edge, replaced my Callaway XR 3 wood(15) with a older Tour Edge 4 wood(16.5) and get the same distance, with better flight and dispersion. But the bottom line is that with a swing speed topping out in the low 90’s, at best, these clubs will not see my bag…. Callaway Rouge – must be something in the pipeline that hasn’t come out yet LOL. Seriously though – a 19 yard difference between my Ping G400 and this would render my driver obsolete. And would create a 75 yard gap to my hybrid. I’m not sure about the race for clubs to get longer and longer. Straighter. Now that’s interesting. I love this story. I’ve been a fan of Tour Edge for 10 years now. I’ve an exotics 3 wood it’s the favorite club in my bag. Here in Nova Scotia there is little access to tour edge and that’s a shame. This is just proving that golf has now gotten out of reach for the avg person. But it was never intended as an avg man’s game. I know that retailers are glad due to the fact that they can accept trade-in’s at a huge discounted price (little to nothing) and then selling at a large profit ! .. I will just keep what I have . 3 more yards (maybe) isn’t worth the expense. 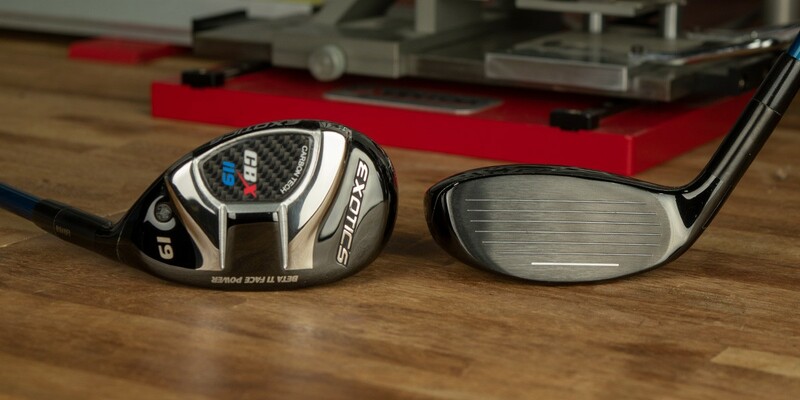 Can’t wait to try the hybrid, but at $249 I doubt one will go in my bag. Too many great offerings over the last few seasons that give a better bag for the buck. On a side note, I’m also the one that uses a 3 generations old Wilson F5 hybrid that drops the ball 260 yards in the fairway almost every time I swing it, so I’m no I “need” of one at the moment. If you hit a hybrid 260, you should be on tour or at least the web.com tour. Whoa! If I could hit a hybrid “260” all I would have to carry is maybe a 4 wood, few irons, 3 wedges and a putter. Serious gap between my hybrid and 4 wood lol. Haha, distance does not equal great all around game. If you don’t have time to practice every day and play a ton, you have no shot at making the tour. I have several friends who hit driver 300+ on the fly and play much more golf than I do and between the 3 of them they’ve broken 80 only a handful of times. Ball striking and especially short game are what give you a chance. But even then, the guys on the web.com are so freaking good you wouldn’t even believe it if you played with one of them. The main difference between the big boy tour and the web.com is consistency. This guys on the Web can shoot low 60s any given day and often follow it up multiple rounds in a row. By your standards I should be a multiple major winner by now! Of course I’m only busting your chops, but I’d also like to stick up for the Web players and just how good they are. Thanks. Sure, I am a .4 handicap, so I’d say above average, but, I don’t have anywhere near the game to even touch those guys on the Web tour nor most of the elite amateur players even. I’d love to say I have some gaps, but even with 13 clubs in there, I feel pretty solid right now. My biggest issue is that 225 (4 iron) to 250 (hybrid) hole and said accuracy outside 200 on approach. I’d love to see the proximity to hold number fall on those shots, but probably not going to happen unless I can play a lot more. Send me equipment and prices.